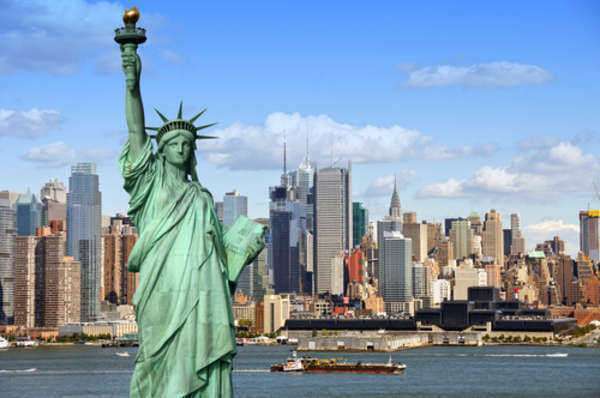 New York personal injury lawyers practice in the field of tort law. Tort law comprises litigation involving the injury of one individual due to the harmful acts of another. There are generally three types of personal injury actions that a New York personal injury lawyer will represent you in. These are intentional torts, negligent torts, and strict liability actions. For a personal injury action in New York to stand the New York personal injury lawyer must prove 4 elements: (1) that the defendant had a duty to the plaintiff; (2) that the defendant breached that duty; (3) the breach of duty was the proximate and actual cause of the injury; (4) the injury resulted in damages. 1. New York has a “no fault” statute that is intended to be a compromise between insurance companies and litigants. In exchange for not having to prove negligence on the part of the defendant the plaintiff is entitled to medical costs and lost wages from the defendant’s auto insurance, accident insurance or worker’s compensation insurance. The law gets vague when dealing with non-economic damages. Because of no-fault liability in New York a plaintiff may not sue for non-economic damages unless the injury is “serious.” The term “serious” is vague by itself and is subject to interpretation. A New York personal injury lawyer should have the skills to make sure that your life altering injury can be interpreted as “serious” so that you can get the compensation that you need. 2. New York is a “pure comparative negligence” state. That means that when a New York personal injury lawyer brings your case to trial your damage award will be reduced by your percentage of fault. New York does not have the 51% threshold that “modified comparative negligence” states have where a plaintiff is barred from recovery if he is more than 50% at fault. For example, in New York if a plaintiff is found to have $100,000 worth of damages, even if he is 90% at fault, he can still recover $10,000, or 10% of the damages, from the defendant. 3. New York has strict vicarious liability laws for automobile owners. The owner of a vehicle will be liable for damages if injury occurs by another driver operating that automobile with the drivers consent and permission. New York assumes consent and it is a rebuttable presumption. 4. New York has a “modified dog bite” statute. This means that when a dog bite occurs, whether propensity is shown or not, the owner of the dog will be strictly liable for medical and veterinary bills. However, the owner will not be liable for other damages unless he knew, or should have known, of the dog’s propensity for violence. After a first bite the owner is put on notice and can be held liable for all damages, economic and non-economic in the case of a second bite. 5. Medical Malpractice in New York has a 2.5 year statute of limitations; 1.5 years for foreign objects that begins to toll at the date of discovery. 6. The statute of limitations for all other personal injury actions is 3 years in New York. 9. Fees associated with New York personal injury lawyers are capped by New York law. A New York personal injury lawyer is entitled to a maximum of: 30% of the first $250,000, 25% of the next $250,000; 20% of the next $500,000; 15% of the next $250,000; and 10% of all amounts over $1.25 million. If you are searching for a New York personal injury lawyer you have many options open to you. New York personal injury lawyers often maintain websites litsing their academic credentials, litigation experience, certification and a wealth of other information. New York personal injury lawyers also advertise on television in your local community, in newspapers and in magazines. By doing a cursory internet search you can find dozens of qualified New York personal injury lawyers and narrow down which ones suit your needs the best. If a search for a New York personal injury lawyer seems to overwhelming then you can take advantage of a referral service. The New York State Bar Association provides a free referral service hotline for those people seeking legal advise but don’t know where to look of how to decide upon representation. By calling the hotline at 1-800-342-3661 or by going to ww.nysba.org you can get in touch with a representative who can help you find a New York personal injury lawyer. The New York Bar Association referral service will ask you to supply the county you are calling from, the county where you will be litigating and a description of the issue that you need a New York personal injury lawyer for. The referral service will then give you the contact information of a New York personal injury lawyer who can help you. The consultation with the referral appointed New York personal injury lawyer will cost $35 for a half hour. After that it is up to you to discuss with that New York personal injury lawyer any future representation and fees. You are under no obligation to hire any New York personal injury lawyer referred by the service and the New York personal injury lawyer is not required to represent you. You can also take advantage of the laws.com referral service at the top of this page. By clicking on the “find a lawyer” link above you will be directed to the laws.com referral service. There you will be prompted to input your name, contact information, location, and a brief description of why you will need a New York personal injury lawyer. A representative from laws.com will then contact you with information that may be beneficial to you in your legal action.